The room has so much flexibility, it could be used as almost any kind of space. 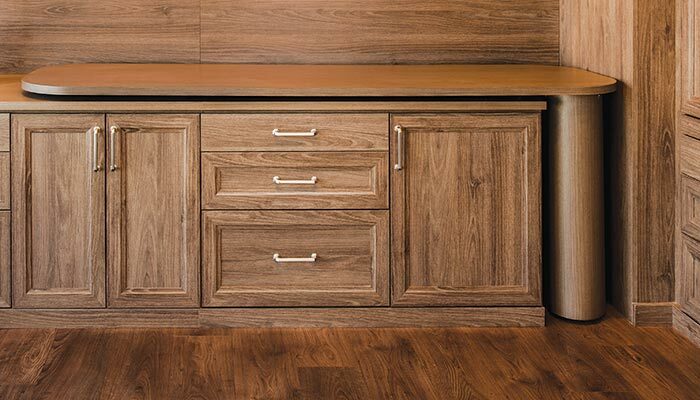 Designed to function as a home office most of the time, this multifunctional organization system is full of one-of-a-kind built ins that maximize its potential storage and usability. It features a custom credenza along one wall with upper cabinets for storage, lower cabinets to house the printer and office equipment, drawers for office supplies, and a unique fold away desk which can be positioned in many locations and angles throughout the room. When the desk is not needed, however, it folds completely away — melting into the credenza. This hidden desk creates a lot of open floor space that could be perfect for exercising, yoga, aerobics — you name it, there's plenty of room here. The system is also designed to create the perfect guest room on a moments notice. 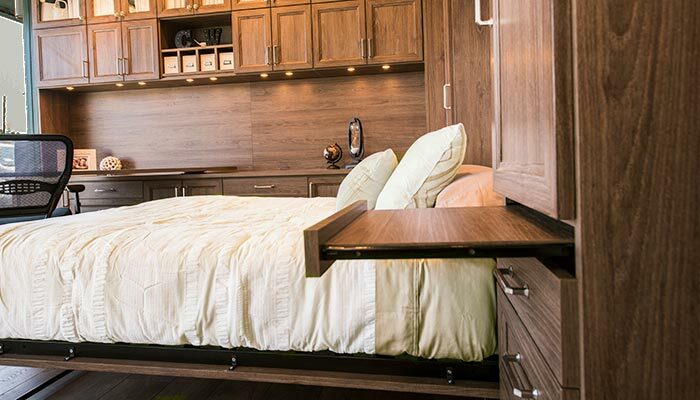 Fold down the bed and your overnight guests have their own private bedroom. The desk can be hidden away to allow for more floor space or kept out as a convenient writing table. 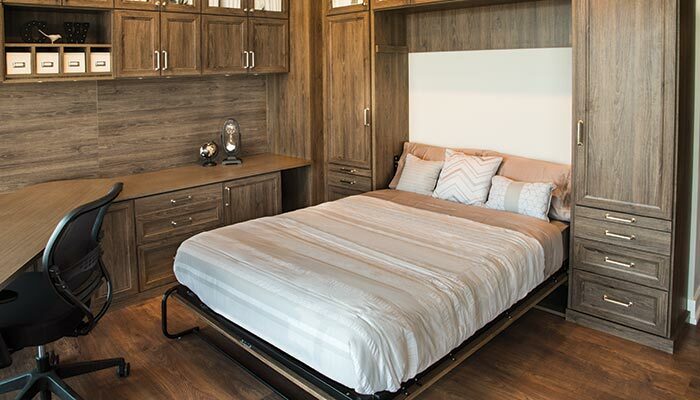 Along either side of the wall bed cabinet are hidden pull-out bedside tables, drawers for storage and tall cabinets with hanging space for clothing. 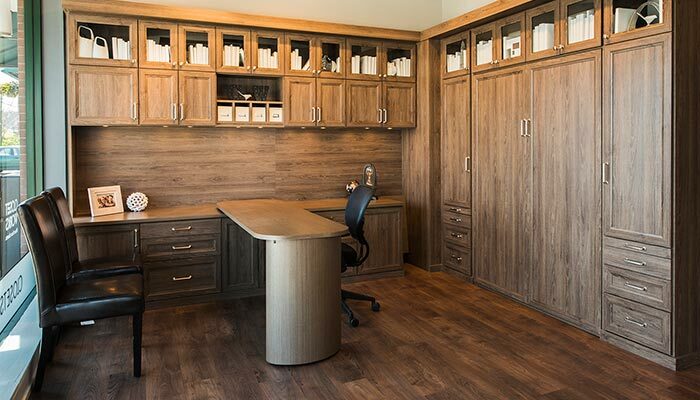 This home office offers the ultimate in flexibility. Both the fold away desk and the Murphy style wall bed can be closed to create open floor space — perfect if you need space for aerobics, yoga or exercise! Children will love to have the extra space to play. Set the room up as a classic home office by opening the hidden desk, use it as a guest room by folding the desk away and lowering the Murphy style bed, or set it up as a student's bedroom with both the desk and wall bed out.